Sync and Backup Bookmarks, Accounts, Apps, Themes in Chrome Browser | Live to Learn! Why I need to use this? Think a while, One day, if your computer crashed, operating system not accessible, then you have to reformat the system. In such time, you will get lose of all your information including the account information, bookmarks stored in your browser. if you have registered in multiple websites and you have stored your account information, username, passwords in your browser, to login automatically, all of your information will get destroyed. If you stored in Google chrome and enabled the sync, your information stored in Google servers in safe encrypted format. 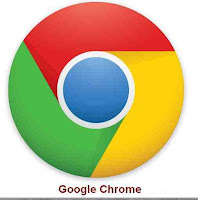 After reinstalling your operating system, install the Google Chrome browser and sign in to your account in chrome browser. It'll restore all the Bookmarks, Account information, your installed Apps, Extensions, Themes, Preferences and everything. If you are using Internet, multiple computers such as Laptop and Desktop, this will be very useful to keep sync of all of your data. It's the great feature of chrome browser. Also, you have the option to delete your information at Google Dashboard at any time. 2. Click the wrench icon (Settings) on the browser toolbar. 4. Sign in to your Google Account in that dialog appears. Enter your Google username and password (if you are using 2-step verification, you have to enter app specific password also). choose items you want to sync. 6. Its preferred to encrypt all your data. (your passwords will be encrypted by default).